Everything is all about marketing. Check out more articles about this topic! I’d started to write this blog post I was thinking about the evangelist’s struggle of today and I wanted to write it here. But still, I think we should focus on a much more important topic – if you follow those influencers/evangelists from your area, it doesn’t mean you can be like them. For some of us, being an evangelist is not a hard work. This is what we do because this is what we love to do. When I say evangelist, I’m not only thinking about those who are named by their company “Chief Evangelist” or “Technical Evangelist” or “Brand Evangelist” or other funky trendy name. For me, an evangelist is that person who is passionate about his work and wants it to make it popular, by telling other people how to use their tool in order to have a better life. For me, an evangelist is not only Guy Kawasaki, who is the father of evangelism (we all know his story at Apple), but, also, Gary Vaynerchuk – who is not only evangelizing his companies and other brands where he invests his money, but, also, the social media solutions. An evangelist is also Rand Fishkin, who is evangelizing the importance of good SEO by showing it in his weekly project, “Whiteboard Friday”. 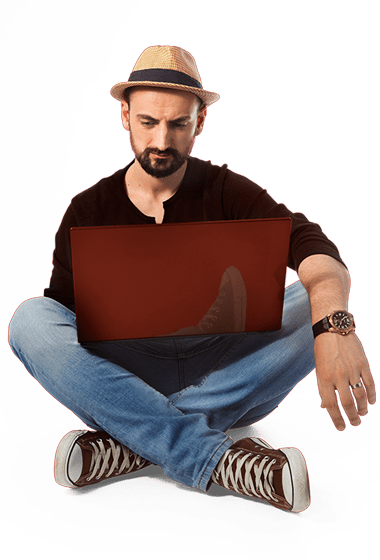 Also, a good evangelist is Joe Pullizi, who talks about smart content marketing strategy and how to deal with it today, in this over-crowed web content. All these guys work hard to promote the way you can have a better and smarter daily job. Yes, they are influencers, as well, and some of you are looking at them like role models. But that doesn’t mean that if you read about their morning habits, subscribe at their every social media channel and wear what they wear, you will be exactly like them. You have your own pattern, your own style and your own personal culture. Yesterday, somebody told me that I’m just like Gary Vaynerchuk. Why? Because I’m very passionate and energized about what I do, about how hard I work and because I’m courageous in my daily work. Yes, I admit that I like what he says and how he made his way into this world, but that doesn’t mean that I want to be like him. If I tweet his articles, I subscribe to his youtube channel or podcast, it doesn’t mean that I want to be like him. I don’t want to be the next Gary Vaynerchuk or Guy Kawasaki or Mark Zuckerberg. I want to be the first me, the first Robert Katai. I’m not interested in what he is eating, drinking or wearing. I don’t care what his morning habits. Because I know that my personal culture (family, job, friends, society) is different than his. I have my own lifestyle with my own purpose and I’m working my own way into this world. I’m sick of every life coach entrepreneur or public speaker who talks from John Maxwell’s book, create their own visual quote and publish it on social media. Why? Because you see that it works for one of the top people in this world and you start thinking that if you do the same, you will be like them. Do you think that if you wear the same clothes as Richard Branson does, you will be just as rich? Sorry to break it to you, but you won’t. This world only needs one John Maxwell ,one Joe Pulizzi, one Neil Patel, one Gary Vaynerchuk, one Richard Brandson, one Mark Zuckerberg, one Jeff Bezos, one Seth Godin, one Rand Fishkin and the list can go on and on and on. The world needs a new person who comes with something smarter and new. So, will you be that new person or just another copy? Think about it.